"Not Frequently Used, but Important None the Less"
It definitely does its job efficiently and simplistically. It is simple enough that even with sporadic use you can understand at least the key features to optimally use the program. There is not much I disliked. Although, I do not use this program quite as often as some others. 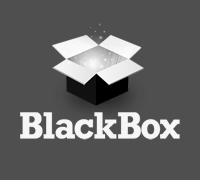 I have only limited used of this program but I would suggest that if you want to consider using Black Box, first consider if there are other programs available with more specific intended use for your company. This is based on my experience and may not apply depending on what industry your in. Confidentiality and management of information. It allows for ease of use as well as efficiency of its intended use. * We monitor all BlackBox reviews to prevent fraudulent reviews and keep review quality high. We do not post reviews by company employees or direct competitors. Validated reviews require the user to submit a screenshot of the product containing their user ID, in order to verify a user is an actual user of the product. Hi there! Are you looking to implement a solution like BlackBox?